For 35 years Bob Caviness called me Sasquatch and I called him Banzai. These fun nicknames were derived from our years of skiing out west together. Mine was because I was so big and if I took a spill on a downhill run I would take a swatch out of the slope we were on. Sasquatch was the official name for the mythical creature “Big Foot” but when Harold Reavis (now deceased) dubbed me Sasquatch, the nickname stuck and Bob kept calling me Sasquatch long after we had quit the slopes. I called him Banzai after a ski run at Snowmass Mountain that we loved to ski together. I first met Dr. Bob Caviness when I was in his oral surgery chair in 1968 when he first started his practice in Fayetteville. My dentist sent me to him because I had four wisdom teeth that needed extracting and two were impacted. We became better acquainted when my wife was a dental hygienist because he was good friends with her employers, Dr. Bob Taylor and Dr. Joe Quigg. Then, in the early ‘80s, a small group of friends started skiing in Colorado every year. Over the 15 years of those trips, we became good friends. Bob (known as Doc among his sports cohorts) had a love for golf, hunting, fishing, skiing and anything else that was fun. As Bill McFadyen notes elsewhere in this issue, Doc was an avid sport fisherman. Watson Caviness trained under his father and became one of the winningest boat captains in the South in marlin fishing. 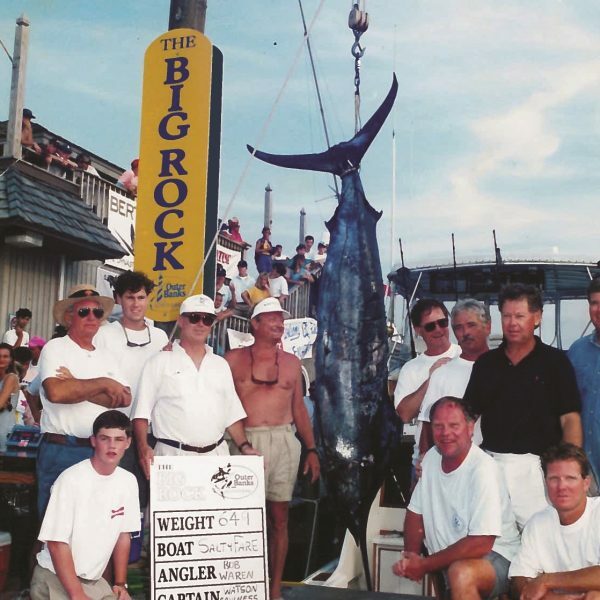 That reputation is what convinced me to invest in a spot on Bob’s boat “Salty Fare” in 1994 for the “Big Rock” marlin tournament. The day I was to fish I couldn’t make it so I sent my youngest son Bob, who was working in Wilmington during his summer vacation from UNC-Chapel Hill. He knew all the men on the boat so it was easy for him to go. 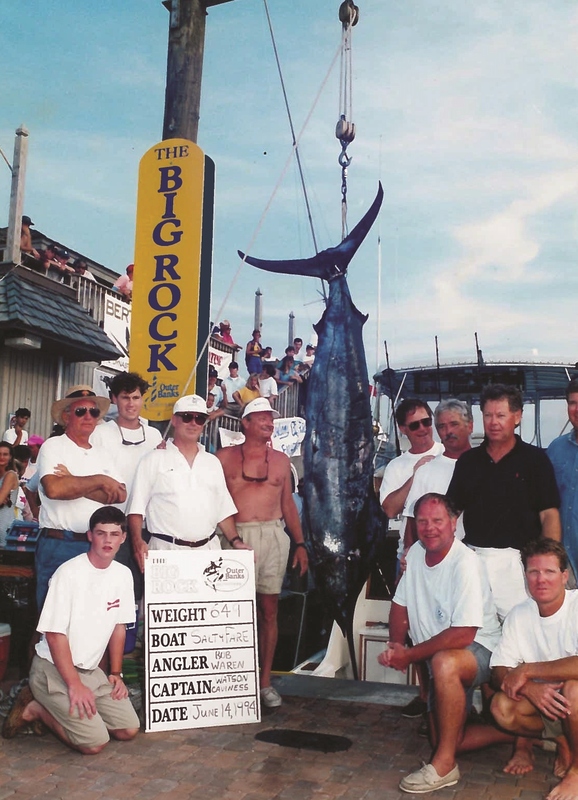 The rest of the story is well-known: Bob Waren caught the winning fish and the boat won $250,000. Years later, Doc and our close friends helped us create a replica of that magnificent fish, so it could be mounted and put in the Lodge at Chapel Hill where Bob Waren was a member while at Carolina. Bob Waren died of cancer shortly after the fish was hung. Bob Caviness was a good friend for many, many years. We had great times together and it was always fun with him along. Doc died after a long bout with cancer on January 29th. His ashes are buried in St. John’s Episcopal Church cemetery next to my parent’s ashes. I am blessed that God put him in my path. Banzai, good friend! !